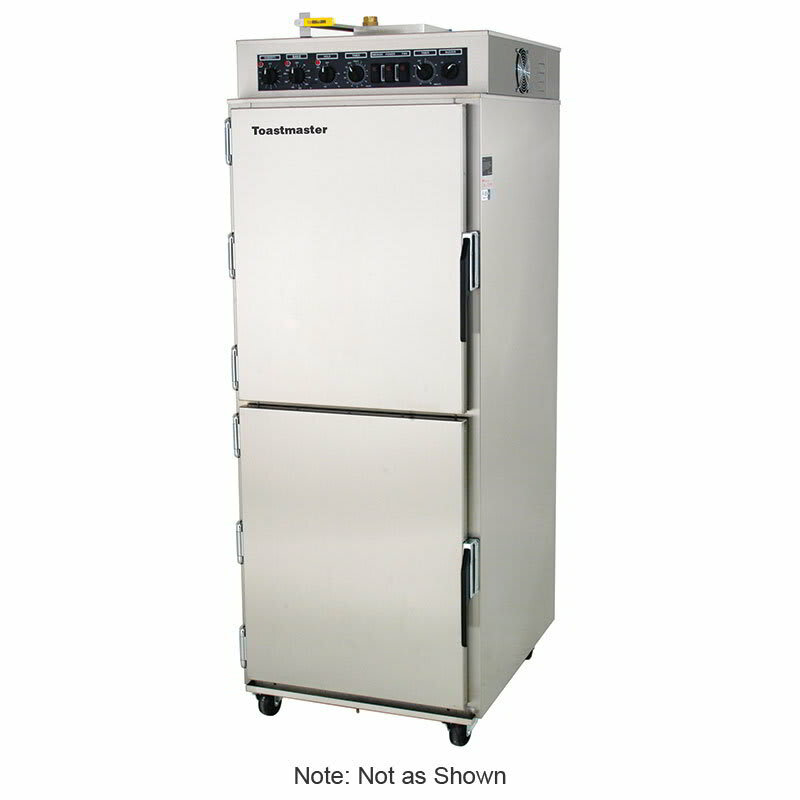 The Toastmaster ES-13R smoker oven has 13 racks with 3.5 inches of spacing. It accommodates (13) 18-inch-by-26-inch pans and can be used for a variety of applications including dry baking, baking with moisture, and smoking. Heat, steam, and smoke are evenly distributed throughout the cabinet by a fan at the top. The cook temperature ranges from 25 to 425 degrees Fahrenheit, while the holding temperature ranges from 50 to 250 degrees Fahrenheit. 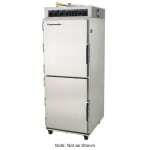 Steam in the Toastmaster ES-13R smoker oven is generated using the same element that generates heat, eliminating the need for a broiler or reservoir. Take a look at our smoker oven buyers' guide to read more about these units.